I like this week's New Yorker cartoon of the week. 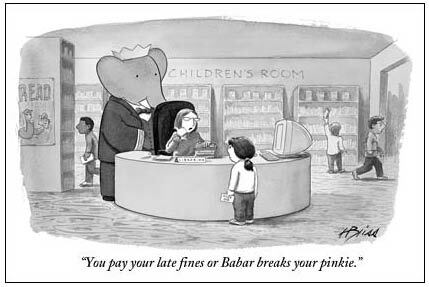 My nephew Ryan is a Babar fan; I'll have to save this for him. The movie rental version of "Who's on First?"